Home » Dairy » How can field beans be best included in dairy cow diets? How can field beans be best included in dairy cow diets? Traditionally, the inclusion of field beans in ruminant diets is normally restricted due to the perceived risk associated with ‘anti-nutritional substances’ that have the potential to reduce intakes and digestibility, and oestrogenic compounds that could adversely impact fertility. 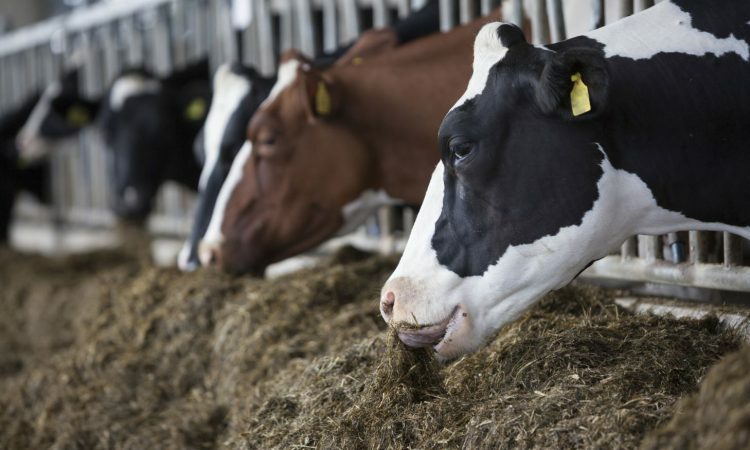 However, as the milk yield potential of dairy cows has increased, so has the demand for concentrate feeds and the high quality ‘protein’ ingredients that they contain. Previous work at the Agri-Food and Biosciences’ Institute (AFBI) confirmed that the inclusion of 4.7kg of field beans per day in the diet of mid-lactation dairy cows had no adverse effects on performance. 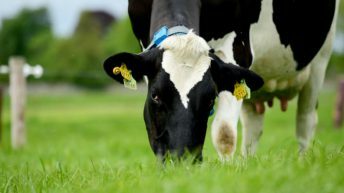 A further study, which was co-funded by AgriSearch and the Department of Agriculture, Environment and Rural Affairs (DAERA), took the concept further and examined the impact of including both moderate and high levels of field beans in the diet of freshly calved dairy cows. The study involved seventy early-lactation animals, and offered a mixed ration of silage and concentrates (approximately 45 : 55 on a DM ratio). The concentrates contained either 0%, 35% or 70% field beans (representing daily intakes of beans of 0, 4.2 and 8.4kg per cow, respectively). In the diet containing 8.4kg of beans, the beans replaced all of the soya bean meal, rapeseed meal and maize gluten. All four concentrates had the same crude protein content (19.3% on a fresh basis), although starch levels were marginally higher when 8.4 kg of beans were included. The beans (Fuego variery) were sourced from a local farm, and dried to approximately 14% moisture content, before being milled and incorporated into the concentrates. The diets were offered to cows from calving until day 140 of lactation. The results of the trial clearly demonstrated that dairy cows were able to consume the diet which contained 8.4kg of beans per day with no negative effect on intakes. This suggests that the ‘anti-nutritional substances’ present in beans may not have as large an impact on intakes as previously thought. However, while milk yield was not significantly affected, both milk fat and milk protein contents were reduced when offering the diet containing 8.4kg of beans, and as such, milk fat plus protein yield was also reduced. While the reduction in milk fat content can likely be attributed to the high starch intake as a result of the high bean inclusion (8.4kg), the reduction in milk protein content is more likely to reflect a shortage of specific amino acids in the diet. For example, field beans are known to contain much lower levels of the amino acid methionine than either soya bean meal and rapeseed meal, and methionine is known to be essential for milk protein synthesis. 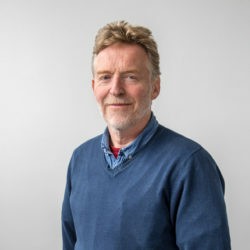 It is speculated that the reduction in milk protein content might have been avoided if the diet containing 8.4kg of beans had been supplemented with specific amino acids, such as methionine. Nevertheless, the reductions in milk fat and protein content in the trial reduced the value of milk produced by approximately 80p/cow a day. Regarding fertility performance, the inclusion of beans in the diet had no effect on days to first oestrus. However, conception rates tended to fall when the diet containing 8.4kg of field beans was offered. While very large numbers of cows are needed to identify genuine differences in fertility performance, the trend observed causes some concern regarding the inclusion of very high levels of beans in the diets of early lactation cows. Consequently, based on the results of the two studies undertaken to date, in order to manage the potential risks which field beans may present, it is recommended that field bean inclusion levels for dairy cows do not exceed 4-5kg per cow per day.